Given the time of year that’s in it, and given the fact that I’ve had more than my fair share of drugs this past week, I’m in a particularly confessional-like mood. [I know now that I can cross secret agent off my list of mid-life-crisis-driven career changes – stick a drip in me and I’ll tell you anything you want to know. I just don’t have the patience to be a good patient.] It’s not often that I’d admit to this level of ignorance but blame it on this week and the week that’s in it. The lead-up to St Patrick’s Day is always fraught with anxiety for me – Will the Gift of the Gab final sell out? Will the speakers show? Will the judges do right by them? Will Ireland take the Six Nations? Will it rain on the parade? This year, thankfully, I can cross ignorance off my list of niggles. I used to dread being asked about St Patrick and would pall at the thoughts of being presumed an expert by virtue of the fact that I was Irish. I’m sure I’ve made up my fair share of stories about the man in my day, stories that are now being repeated as fact around the world. [Well, she was IRISH you know… she must have been telling the truth.] In truth, my knowledge was limited to shamrocks and the Holy Trinity and casting snakes out of Ireland. Late last year, thanks to a serendipitous combination of invitation, situation, and cooperation, I found myself in Co. Down, sitting in a church that was built on the very site that St Patrick is said to have died. 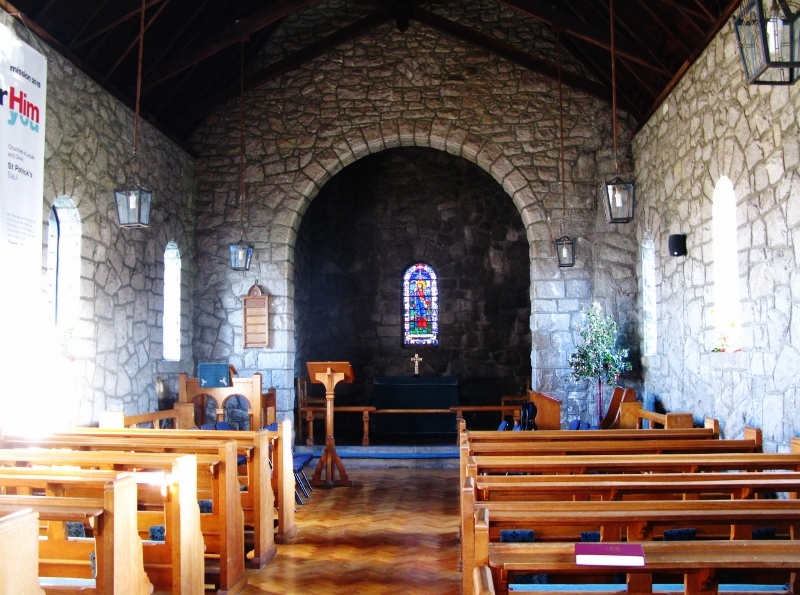 As I listened to the unfamiliar hymns and anxiously wondered when I should sit, stand, and kneel, I reminded myself that there was a time in Ireland when, as a Roman Catholic, I would have had to seek permission from the Bishop to enter this church. Thank God we’ve seen the light. The name Saul comes from the gaelic Sabhall Phádraig, which literally translates to Patrick’s barn. Here, in this particular corner of Northern Ireland, about two miles east of Downpatrick, was where St Patrick is said to have built his first church. Way back in 432, when his boat was swept ashore where the River Slaney enters Strangford Lough, he was met by the local chieftan. Such were Patrick’s powers of persuasion, that Dichu, the chieftan, was converted to Christianity as soon as he could say Amen. And, as a new convert, bestowed on Patrick a barn at Saul from which he could preach. Legend has it that it was in Saul, on 17 March back in 461 that Patrick died. 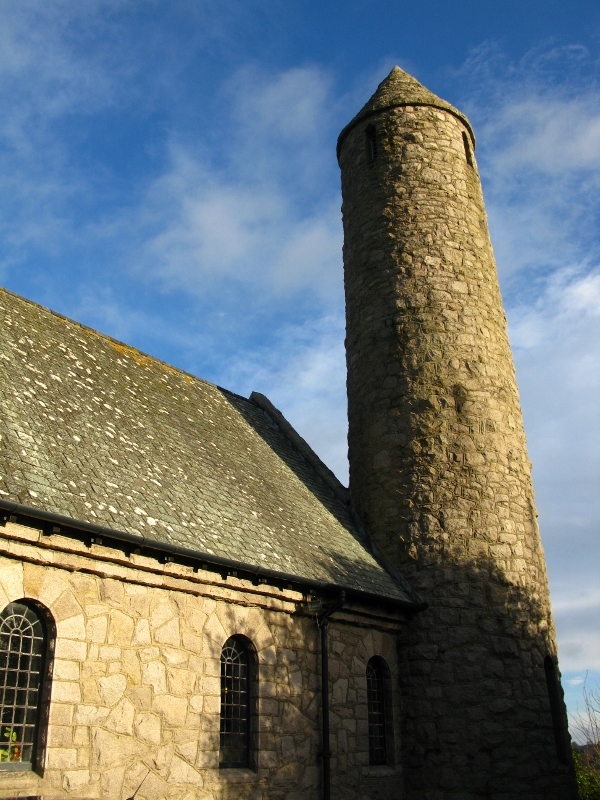 The beautiful stone church that stands there today, complete with a replica round tower, is a place that begs quiet contemplation. 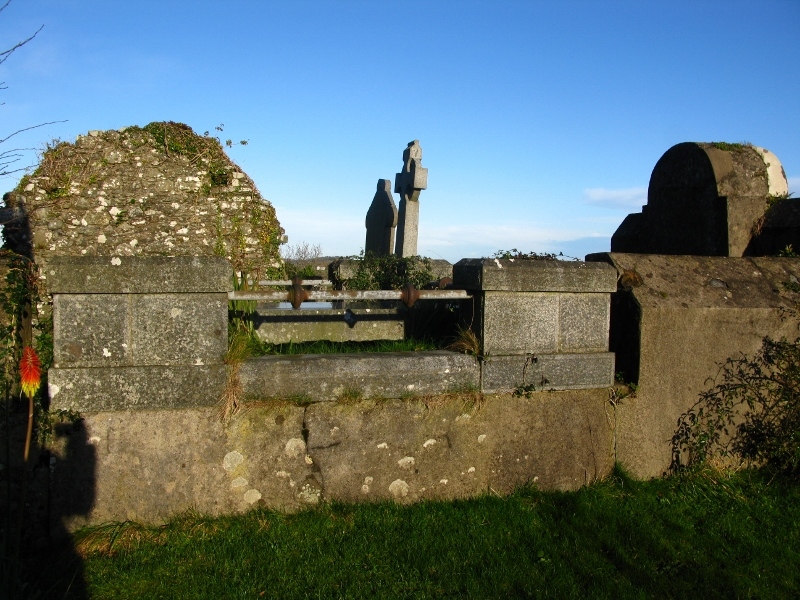 Its simplicity was a stark reminder of when Christianity first came to Ireland and the limits St Patrick faced in his drive to convert the nation. No fancy churches or ornate walls. No gold-leaf trim or brass candlesticks. No priceless works of art. Nothing but a barn. I was a tad surprised to find how peaceful it was to be in a church where nothing competed for my attention. 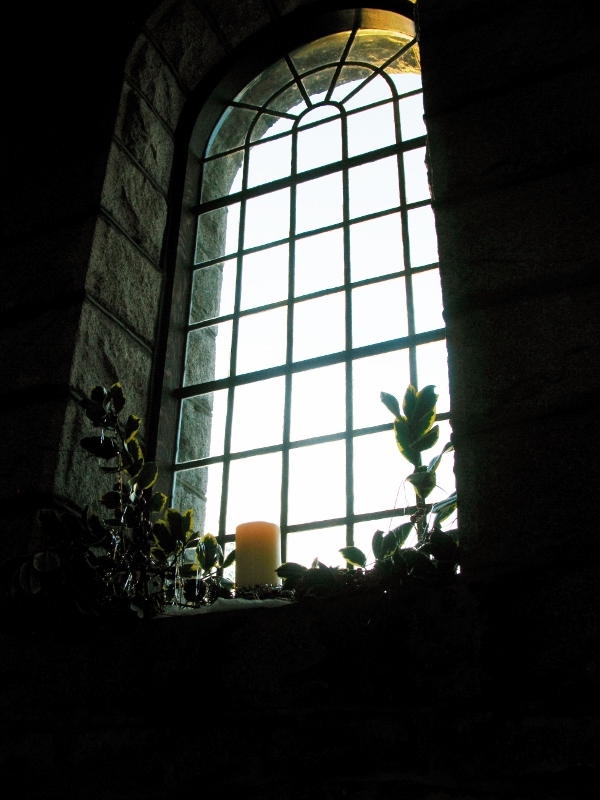 Stone walls and a single stained glass window were the height of the decoration, apart from the Christmas holly and such that sat quietly on the window sills. Perhaps because the congregation was so small in comparison to the city churches I’m used to, or perhaps because this particular congregation was so welcoming, it was the first time in a long time that I actually recognised the embodiment of Christianity. I’m sure the parishioners of Saul are far from perfect; they are human after all. Yet there was something very special about it all. After the christening, we wandered the grounds, looked out over the hills and mountains in the distance. Close by, on Slieve Patrick, the giant statue of St Patrick beckoned but we didn’t have the footwear (or the inclination, if truth be told) to go see the bronze plaques that bear testimony to his life in Ireland. 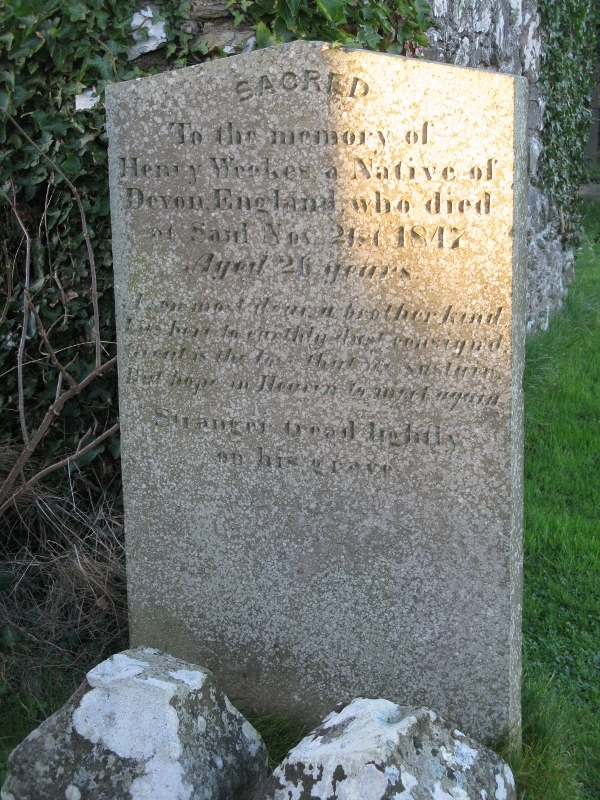 In the shadow of the church, a number of aged gravestones told the stories of those who, like Patrick, also died away from home. Old stone ruins stood in silent memory of times gone by. No matter their religion, I doubt anyone couldn’t help but feel the sanctity of the place. 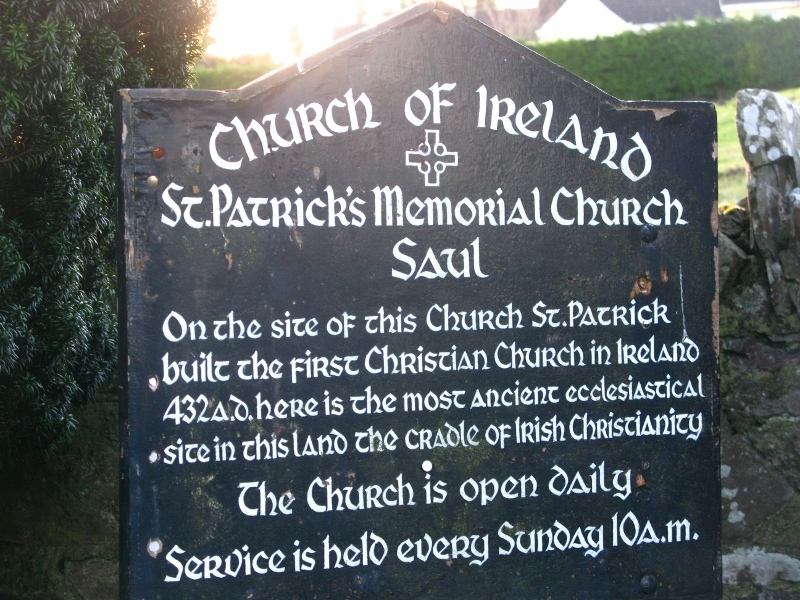 A little abashed at the fact that despite being Irish through and through, I had never heard of Saul before the invitation came to Finn’s christening, I decided to follow the trail and visit Downpatrick to say a quick one by St Patrick’s grave. [I was blessed that I was in the company of a very patient compatriot who shared my curiosity – graveyards aren’t everyone’s cup of tea.] But more about that later. Very interesting (and timely of course, as they prepare to dye the Chicago River green once again). I expected to read something about St. Patrick banishing the snakes from Ireland though… what’s the scoop on that?